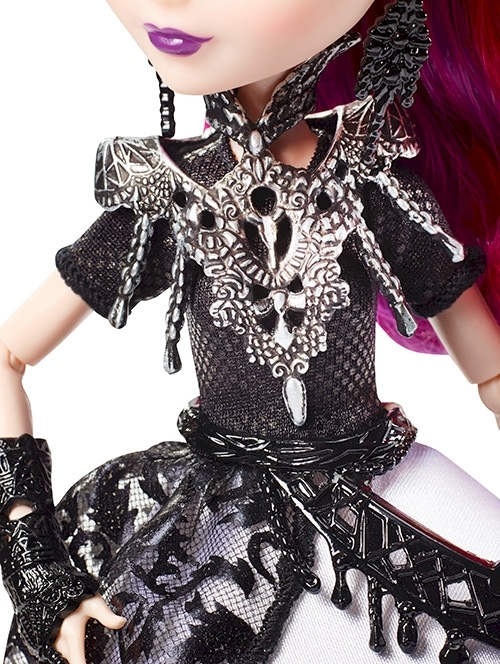 Join the Dragon Games with this Ever After High™ teenage Evil Queen doll! In their most epic adventure yet, the powerful princess students see the return of dragons to Ever After High™ -- and the return of the most amazing sport ever after, Dragon Games! But all is not fun and games when the Evil Queen joins in, especially because she has magically transformed herself to look like a student. Trying to blend in at Ever After High™, the villain from Snow White looks hexquisite in a black and white dress with metallic print, multi-layered skirt and fableous accessories. Fans can get the hexclusive scoop on her evil plot for the event of the year with the included storybook. Let the games begin! Collect all of the Ever After High™ Dragon Games dolls to tell your own epic tale (each sold separately, subject to availability). 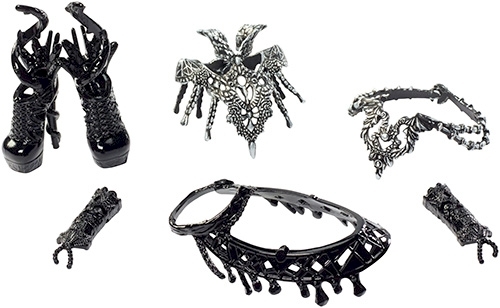 Includes teenage Evil Queen doll wearing fashions and accessories, plus storybook. Doll cannot stand alone. Colors and decorations may vary.